Montreal indie musician Little Scream, aka Laurel Sprengelmeyer, opens up about inspiration, procrastination and reincarnation in an Exclusive Q&amp;A with The FreeStyle Life. August 9, 2011	(Newswire.com) - In this installment of The FreeStyle Life, Montreal documentary filmmaker Ezra Soiferman (EzSez.com) brings us face-to-face with Montreal singer and multi-instrumentalist Little Scream. Ezra Soiferman: How do you find inspiration for your songwriting? Little Scream: Procrastination. I tend to write my best songs when I'm procrastinating. When I'm supposed to be working on something else, my mind starts to explode into all sorts of other ideas, and the creative act is one of defiance. Right now I'm procrastinating on working on a show poster by doing this interview. I'll probably have a really great song idea while doing so. E.S. : Your songs have a really thick, rich ambiance to them. What's your secret? L.S. : Indecision. I have all sorts of ideas for parts in my songs, and instead of making decisions about what needs to actually be in them, I'll generally just lump things together, layer them. I think you can hear that in my genre choices too. I've turned indecision into an art form of sorts. E.S. : You've done a lot of touring to support your new CD. What's the most exciting part about playing live shows? L.S. : Fear. The great fear of being imperfect in public, and of people seeing you at your most weak and vulnerable. Having that fear and then overcoming it is something akin to what I imagine people who do extreme sports feel. When I first started playing as Little Scream, I could barely get through a show without feeling like I was going to cry or puke. And sometimes I did. But getting through that is such an exhilarating feeling. Performing for me is kind of an emotional extreme sport. E.S. : What is your ultimate goal as an artist? Why? Do you feel you're getting there? L.S. : When I look back over my life I identify many moments where a song saved my life, or at least it felt like it did. And I've been so grateful for that, I have always wanted to put something back into that pool of inspiration. And then there are all of these artists and people that I feel so indebted towards, that I feel a sort of responsibility to carry forth their work and inspiration in my own tentative and imperfect way. My ultimate goal is to feel like I'm doing justice to the things and people that have inspired me. And to feel like I'm being true to myself, even if being true to myself means being an inconsistent, uncool procrastinator, at least there will be some truthfulness in that. And that's important to me. E.S. : If there's life after death, what would you like to return as, and why? L.S. : If I could return, I'd like to do so in spirit form, and take on the role as one of those invisible spirit guides, the kind you often see pictured in shops that sell lots of crystals. And I'd even look like some of those angels in my spirit form -- all long flowing hair and huge wings. Except inside of my wings there would be crawly insects and centipedes. And I would have this inner body that could sometimes be full of snakes and scary things, all crawling around a brilliant glowing heart. Because sometimes the best thing an angel can do for you is to scare you s#!@less. I'd only do the scaring thing sometimes though. Most of the time I'd just be granting wishes and hanging out with a person while they felt lonesome. And loving people all the time even if they didn't know it. About The FreeStyle Life, Inc.
Press Contact, The FreeStyle Life, Inc.
Join The FreeStyle Life Monday, August 6, at 3:00 p.m. EDT, 8:00 p.m. BST, for a film screening and live Q&amp;A with director Sarita Siegel. Following a streaming of Siegel's 2004 documentary, "The Disenchanted Forest" at 4:15 p.m. EDT, 9:15 p.m. BST. 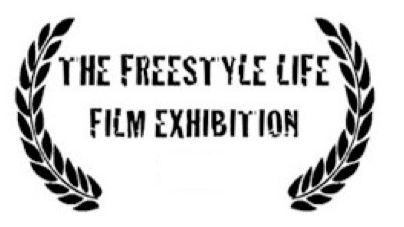 The FreeStyle Life strives to take indie above ground and will continue to do so in the 2013 FreeStyle Life Film Exhibition, which will start taking submissions July 10th! The FreeStyle Life announces the winner of The Golden Swan for its 2012 Film Exhibition.